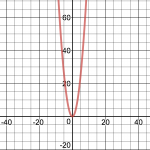 We can later explore how to use the graph, but for now recognize that if a range of x values starting with negative numbers and proceeding to positive numbers is multiplied by itself, those pairs of x’s and y’s when plotted as points will produce a figure that goes down and back up in symmetrical fashion. That’s easier to see with the graph. Here is a great online graphing calculator if you’d like to experiment. 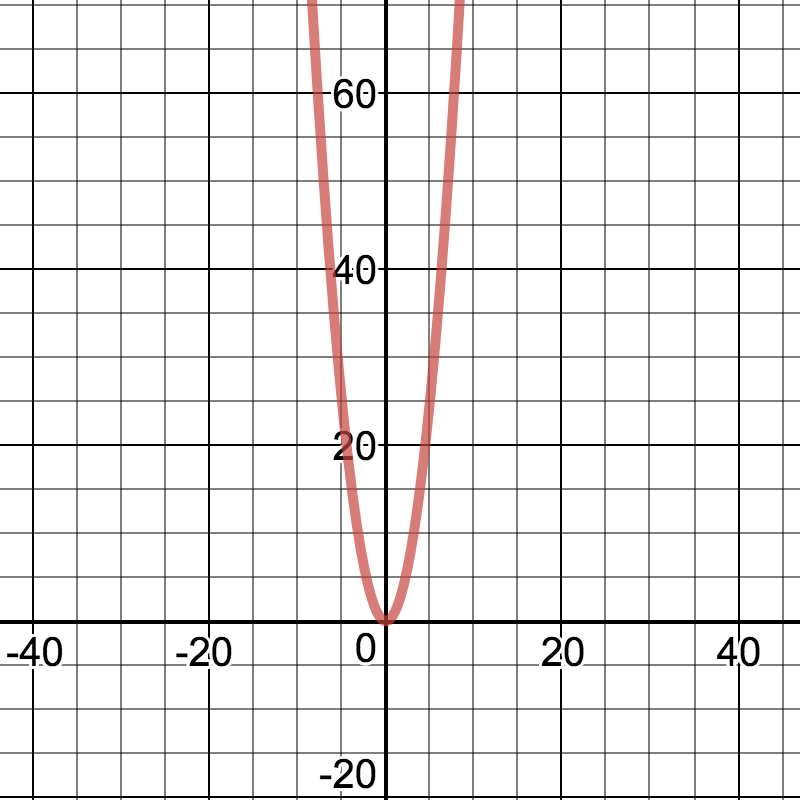 Enter y = x^2 in the input field to see this parabola.